Join the members of the Sustainable Finance Toastmasters as we practice our public speaking skills while sharing knowledge and ideas about sustainability - in finance and beyond! The Sustainable Finance Toastmasters is a great networking opportunity for sustainability professionals and enthusiasts. Our bimonthly meetings empower members to practice their public speaking and leadership skills on dedicated pathways designed by Toastmasters International. Meet new friends and witness their progress while working on your own confidence speaking in front of an audience. 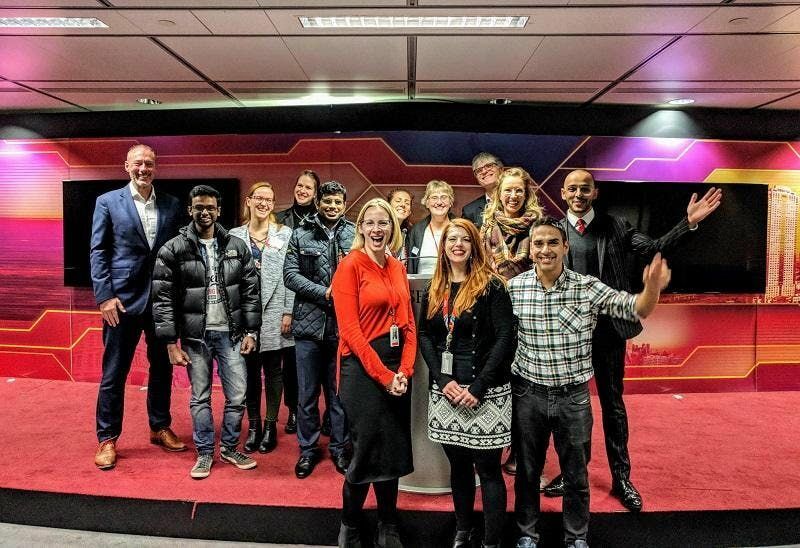 You do not have to be a Toastmasters member to attend the Sustainable Finance Toastmasters for the first time - however, only those registered with Toastmasters International can continue to make use of its training, pathways and resources. Membership is only £80 for 6 months - ask us for a membership form if you would like to sign up! Our meetings take place at the HSBC building in Canary Wharf, London's impressive financial district. The building is wheelchair accessible throughout and the view from up here is exceptional. Register at the HSBC reception between 18.00 and 18.15 on the day of our meetings and a Toastmasters member will come and collect you. Each of our meetings centres around one of the Sustainable Development Goals (SDG) - these are global goals formulated by the United Nations that aim to end poverty, protect the planet and ensure that all people enjoy peace and prosperity. This week's meetup centres around SDG 16 - to promote peaceful and inclusive societies for sustainable development, provide access to justice for all and build effective, accountable and inclusive institutions at all levels. You can learn more about it here. Unless you're a Toastmasters member who has signed up for a role at the meeting, you don't need to prepare anything. Just bring yourself, your thoughts, your experience and your ideas. The event may be recorded for marketing purposes by video of photograph - please let us know if you would like to be excluded from the recordings.